Hydrate thoroughly, hydrate deliciously with amazingly refreshing flavor combinations. Carbohydrate-infused H20 formula significantly accelerates the rehydration process. Glucose, sucrose and fructose give you the solid energy boost you need to last you throughout the game. Essential electrolytes help relieve muscle cramping, heat stress and fatigue, keeping you performing at your best. 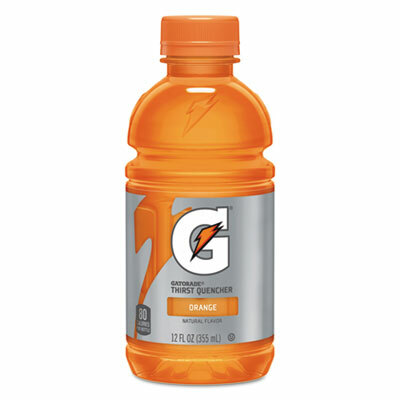 Beverage Type: Sports Drink; Flavor: Orange; Packing Type: Bottle; Capacity (Volume): 12 oz.